Commercial properties are still required to install and test backflow prevention devices. Cross connections between water supplies and sources of contamination represent one of the most significant threats to public health in the water supply industry. A cross connection is a physical connection between the drinking water system and any other piping system containing a non-potable substance. 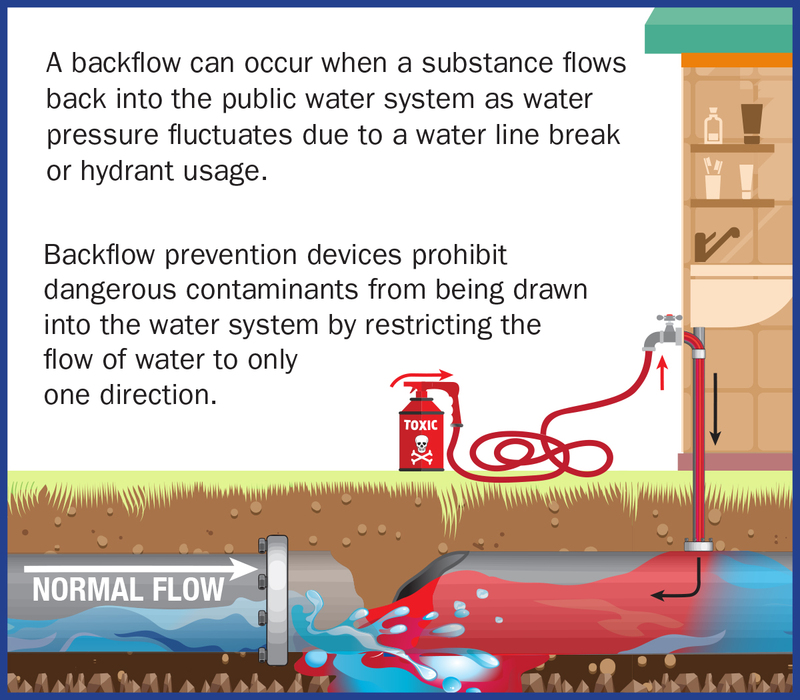 A backflow can occur when a substance flows back into the public water system as water pressure fluctuates. This could be as a result of a water main break or hydrant usage.